The King of Darokhand is dead. The two, lone surviving siblings, Prince Haider and Princess Kumari, are in prolonged mourning, along with the kingdom they now must lead; Kumari’s bond only wishes happiness for her beloved brother, but Haider’s deep anguish cannot allow him to take responsibility of the throne. As the kingdom readjusts to the power vacuum that now exists, a dark and vicious game of thrones ensues, seeping the whole kingdom into an abyss of betrayal, lost love and manipulation. But there are more wicked and occult forces at work: a carefully masterminded and orchestrated plot to bring down the kingdom seems inevitable – now, only annihilation and destruction await. 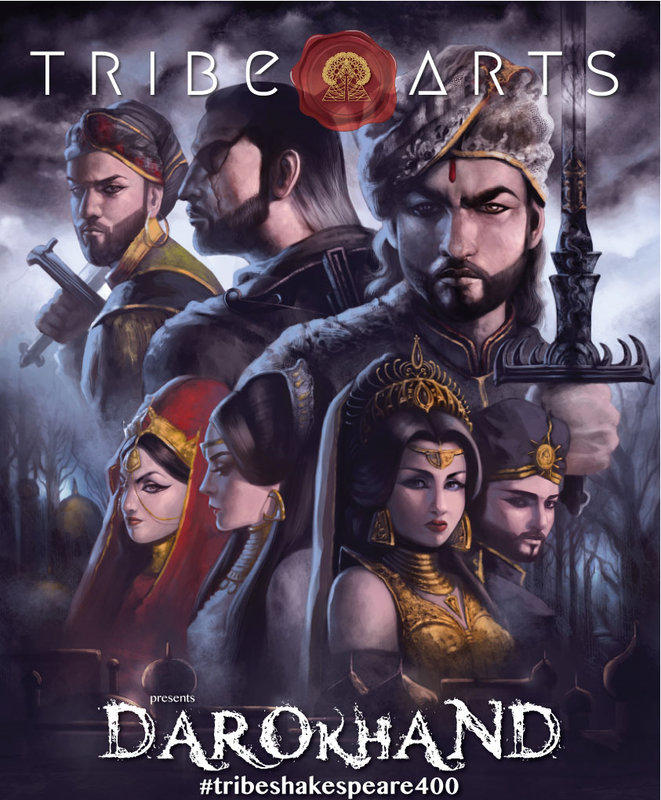 Darokhand is a tragedy of Shakespearean proportions, inspired by 6 of his most-loved and popular plays (Hamlet, Othello, Romeo & Juliet, Antony & Cleopatra, Macbeth and The Tempest), weaving them together to create an epic, new original work, set within a fantastical Gothic-Mughal world – think Tim Burton, but with an Indian twist. Darokhand was originally produced as a tribute to mark the 400th death anniversary of the Great Bard. A “trailer” version of 6 selected scenes was showcased in May 2016 as part of Bradford Literature Festival.